I never wrote about it, but I did watch the Super Bowl this year. You know, the one that was a mirror image in many ways of the Super Bowl that remains my No.2 most painful sports memory of all time? Yeah, that one. 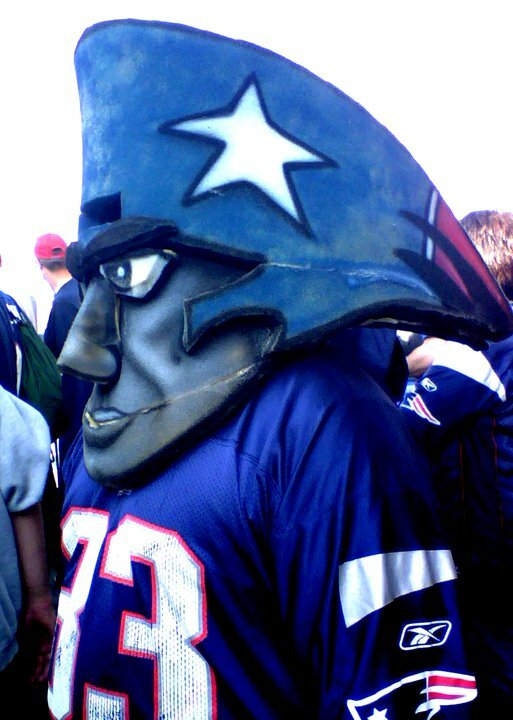 So, first, the Patriots begin the 2012-13 season under the expectation that they will avenge that most recent, stinging loss. 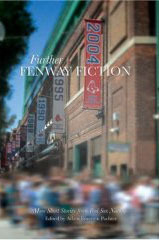 Then there's also the expectation, at least in some circles, that they will 'heal our wounds and be a blessing to us' after a Red Sox baseball season that has been nothing short of miserable, never more so than in being dissected by a Sports Illustrated cover story this week. 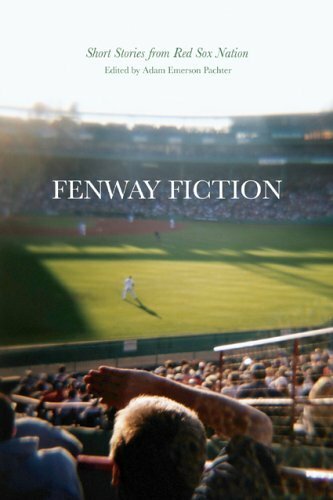 On Aug. 31, 2011, a comfortable evening at Fenway with a sweet breeze blowing in from rightfield, the Red Sox beat the Yankees 9-5. 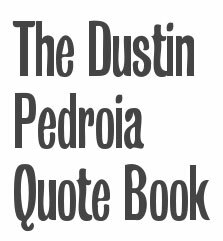 They had the best record in the American League, stability in the dugout and in the front office, an MVP candidate in Gonzalez, an AL ERA leader in Beckett and a nine-game cushion on a playoff spot. That moment in time seems ancient now, like a lost civilization. Fortunately, the New England Patriots who showed up to play today in Tennessee were easily able to bear up under the weight of those expectations and frustrations, and trounce the Titans for a thoroughly satisfying 34-13 win. 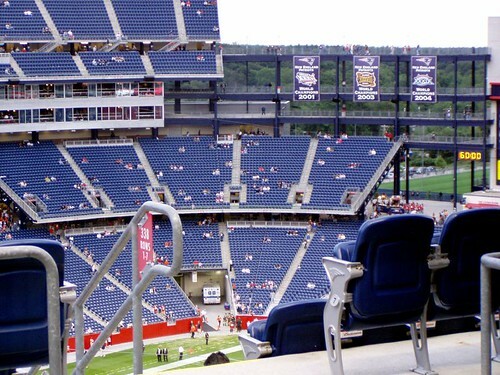 Before the game, I was worried about the New England offensive line, which had looked a little shabby in the preseason, but it turns out I had no reason to fret. The Patriots controlled the running game on both sides of the ball today, netting 162 yards rushing, the kind of effort that can only be led by strength up front. 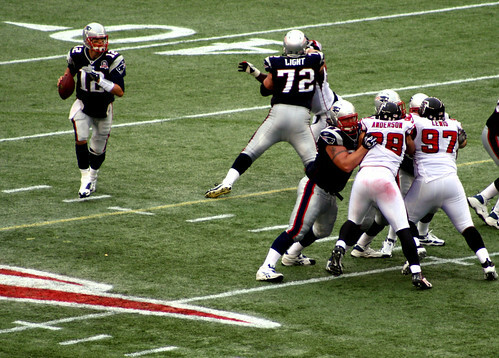 Tom Brady was sacked only once, though the Titans made that one count -- DE Kamerion Wimbley first tackled the QB and then kneed him in the face, resulting in a less-than-stylish Band-Aid on the bridge of Brady's nose and a right nostril packed with gauze to begin the Patriots' fourth offensive series of the game. More impressive was the way New England controlled the run on defense. The Titans netted just 20 yards and only one of their first downs rushing as a defensive front led by Vince Wilfork crushed their efforts to carry the ball upfield. That set the tone for a solid defensive effort that's sure to put a spring in any Pats fan's step this week, early though it may be. The remodeled defense, particularly the front 7, looked more than solid today. Especially encouraging was the way the Patriots reaped the fruit of their 2012 draft class on a play in the second quarter -- after a sack by rookie Chandler Jones forced Titans QB Jake Locker to fumble, the ball was scooped up by fellow rookie Dont'a Hightower, who scrambled into the end zone for what I dubbed the Police Academy Touchdown. The passing game was a little bit more of a mixed bag overall -- the defense looked disconcerting, for example, on an 80-yard drive for the Titans in the third quarter that took all of a minute and a half to eat up the field with a series of long passing plays. It took a while, too, for Brady and Co. to find a rhythm at the beginning of both halves. Still, it was the passing combination of Brady and newcomer Brandon Lloyd -- who looks to redeem the number 85 for the Patriots this year -- that had me salivating most in anticipation of the rest of this football season. Lloyd lead the team in receiving yards with 5 catches for 69 yards, but it was more the quality than the quantity of his catches that made me pay attention. Lloyd stopped running and thus missed the first attempt Brady made to hit him deep, but on the second attempt, made his first catch as a Patriot in grand fashion with a somersaulting grab up the sideline. After that, Lloyd didn't look back, and watching Brady's passes find his back shoulder in stride as the game went on was a thing of beauty. I look forward to more of their work together. 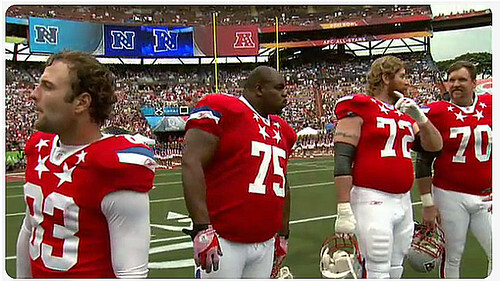 Is Matt Light the greatest left tackle ever? Nope. Will he be enshrined in Canton? Doubtful. But he'll always be one of the more memorable Patriots, just based on sheer personality -- a personality I hope we haven't seen the last of around here, given all the opportunities he probably has open to him in broadcasting and similar endeavors. The "Snow Viking" Picture -- It's a desktop-sized photo of Light standing on the sideline in the snow. HIs red hair is standing out every which way, his beard thick and glorious, lip curled in a snarl, and his posture aggressive. 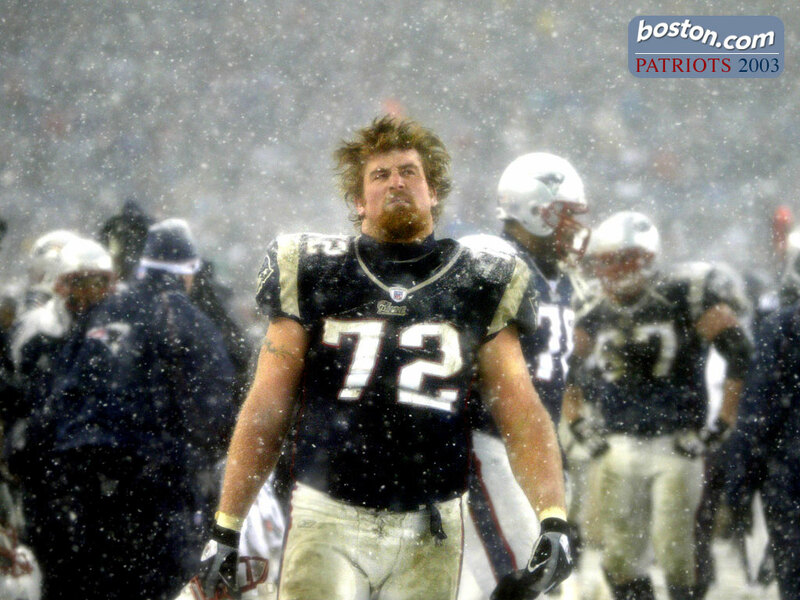 At the time and since, this image summed up the raw, gritty talent of the 2003-04 Super Bowl squad for me, and is the first image that springs to mind when I think of Matt Light. I hope it never leaves Boston.com's servers. The Internet would be lesser without it. Cutting Brady Down to Size -- Matt Light's most defining feature has always been his wit, which is probably not the first thing people associate with a 6' 4", 305-lb. guy who shoves around other huge guys for a living. 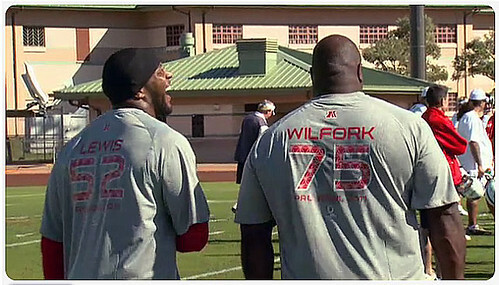 But Matt Light has also always been the first example I could point to that puts the lie to the idea that football players, and especially linemen, are little more than barely-upright apes who couldn't spell "cat" if you gave them the "c" and the "a". Nowhere has this wit been more publicly evident than in the way Light has delighted in brutally dethroning his most idolized teammate whenever possible. 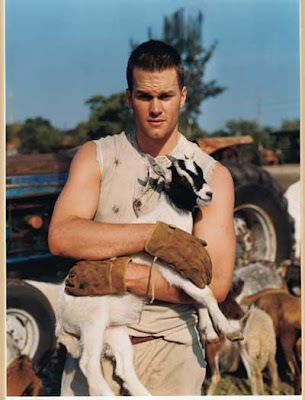 Two specific things spring to mind when I think of this: 1) Light and the rest of the line taping Brady's goat picture to their backs in practice; and 2) an appearance on WAAF's Hillman Morning Show in which he was asked, "How's Brady look?" and responded drily, "Oh, you mean the hair...?" The Bathrobe -- The year: 2004. The time: evening. 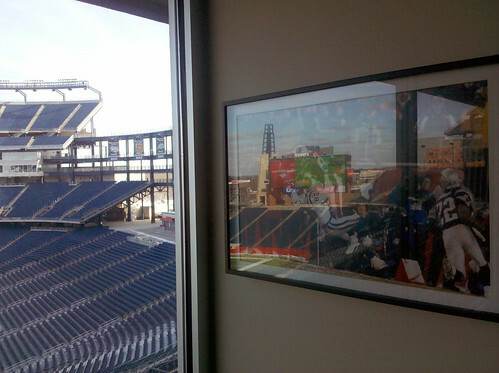 The occasion: the Patriots' arrival as victors in Super Bowl XXXVIII at Gillette Stadium. And who should emerge holding the trophy but Matt Light, sporting an impish grin, another truly glorious beard, and a fuzzy bathrobe. It was a triumphant time for all of us. 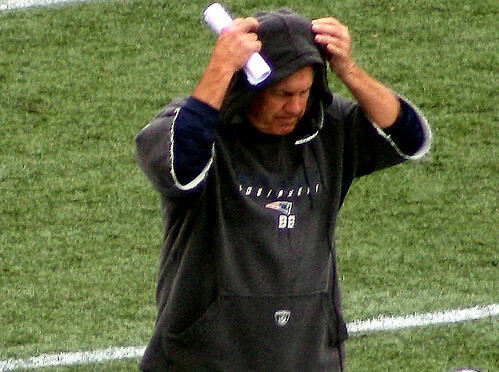 The Punt -- I got to talk to Bill Belichick once. True story. He was a guest speaker at a conference I was attending, and as part of his motivational speech (yes, really), he played the footage of Matt Light catching a punt in a high-stakes bid to get out of practice early. Light had asked for the night off in training camp after a blisteringly hot day, and Belichick made him a deal—catch a punt and you get the night off; fail to field it cleanly and the whole team runs double the wind sprints at the end of practice. As the story goes, and as Belichick relayed it, Light suddenly had more coaching than he knew what to do with, from Troy Brown to Tom Brady, everyone around him babbling urgent instructions. Light eventually did field the punt, and was immediately mobbed by his overjoyed teammates. I'd heard that story before. 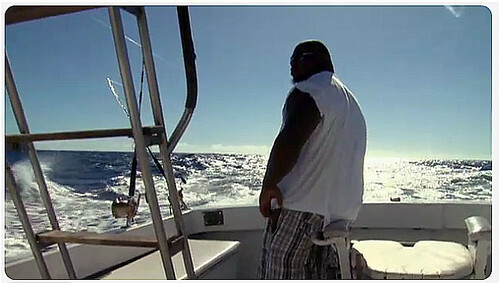 But I hadn't seen the video until Belichick showed it that day. It's still footage that, as far as I know, has never seen the light of day elsewhere, so you'll just have to take my word for it: it was awesome. The Mustache Song -- This is something that I'm happy to say you can still experience, at least while it remains up in the WAAF archives. If you haven't heard it, don't wait another minute to enter Matt Light's mustache realm. True story: I was a video-game deprived child. Thus, the necessary synaptic connections to play video games with anything approaching skill never formed in my brain, and to this day I am one of the few people I know who never, ever plays them. So just add that to the list of reasons I find the fact that this is among the bigger Patriots news items* this week so depressing. 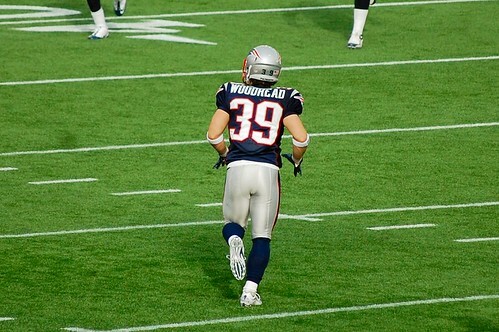 Still, the fact remains: though there may be no actual football next year, Woodhead could still achieve at least artificial NFL greatness by making the cover of the next Madden. So I guess it's best to root him on -- could be the only chance we get this year, after all. Oh! One other bit of Patriots news this week, in my household, specifically: a fairly important MEMO TO SELF -- take that mashup of "Beautiful Day" with Super Bowl XXXVI highlights OFF iTunes, lest Shuffle find it again, for the foreseeable future. And so if you'll excuse me, with apologies to Bill Simmons, I will now light myself on fire. Just as soon as I vote for Woodhead.